Hannah Karanja seized an opportunity to add value to potato products; now she's working with TechnoServe to expand her business. Five years ago, 33-year-old Hannah Karanja resigned from her job as a primary teacher to open her own business selling potato chips, or “crisps” as they are known in Kenya. She used $500 she had saved from her teaching salary and invested it into her new business, Njeminah Crisps. “I felt this was the most appropriate time to fulfill my entrepreneurial ambitions,” Hannah says of her decision. However like any new business, the first few years were difficult. She faced competition from larger, more established firms, which could produce larger quantities at a lower cost. Since Hannah makes her chips by hand, her cost of production was high, making it difficult to keep up with demand. In 2015 Hannah learned about TechnoServe and Barclays' African Youth Agripreneurship Program (AYAP). The program focuses on supporting youth in Ghana, Kenya and South Africa who are operating businesses within agricultural value chains, which have high potential to grow and create jobs. AYAP provides participating businesses with access to finance, markets, information and technical assistance. Hannah attended training on financial management, sales and marketing, product certification standards, and innovation technology in agribusiness. The information she received in her training was a powerful aid in transforming her business. 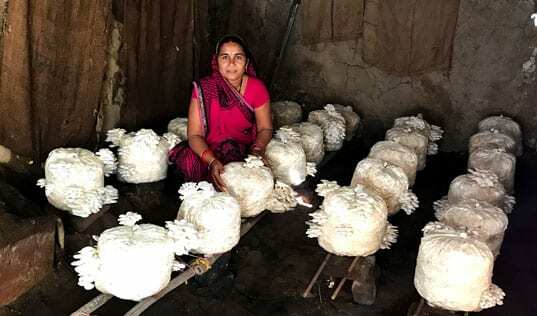 She was able to increase her production by more than 30 percent and raise her monthly income from an average of $500 to nearly $1,100. Because of her training, she was able to identify areas in her business that needed improvement and use her increased earnings to reinvest in her chips business. Hannah knows that in order to compete with other businesses and access new markets such as retail shops or supermarkets, she will need to reduce the high production costs. She plans on buying a slicer and electric fryer, which will reduce the time it takes to make the chips and help her expand her operations. AYAP is not just providing necessary business skills to young entrepreneurs, but it is also hoping to help youth in Africa see the economic opportunities in agricultural value chains. Hannah encourages other youth to explore entrepreneurship as an option for creating income, advising them not to wait around for formal employment, but to look at needs within their communities.